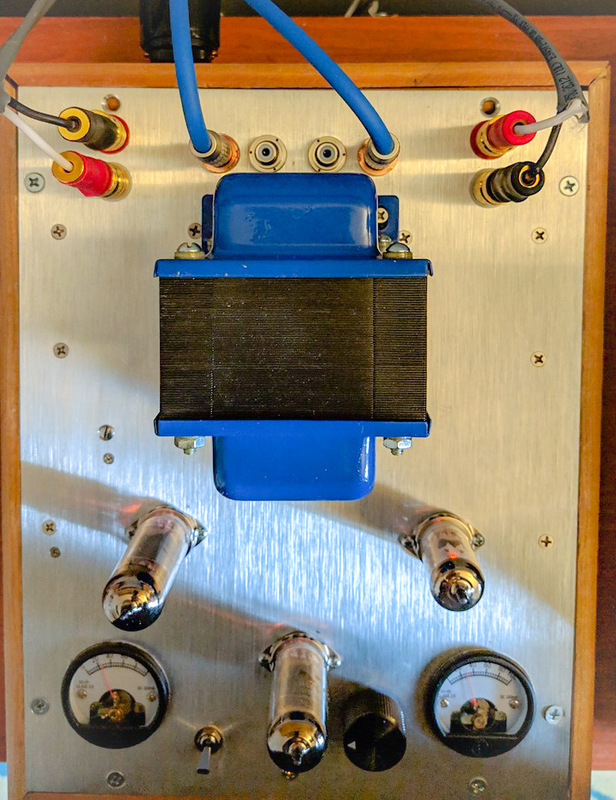 Built almost a sort of PCB/P2P hybrid. 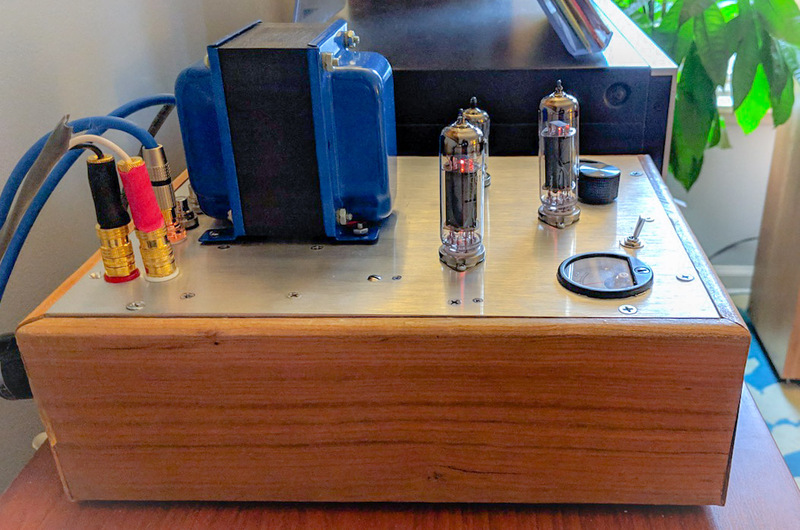 Brazillian cherry wood chassis, aluminum top plate from Landfall, Audyn True Copper signal caps, one input going through a attenuator, the other bypassing volume control. Added the Hazen mod and the 50w resistor. Also have mA meters to make sure the tubes are good. 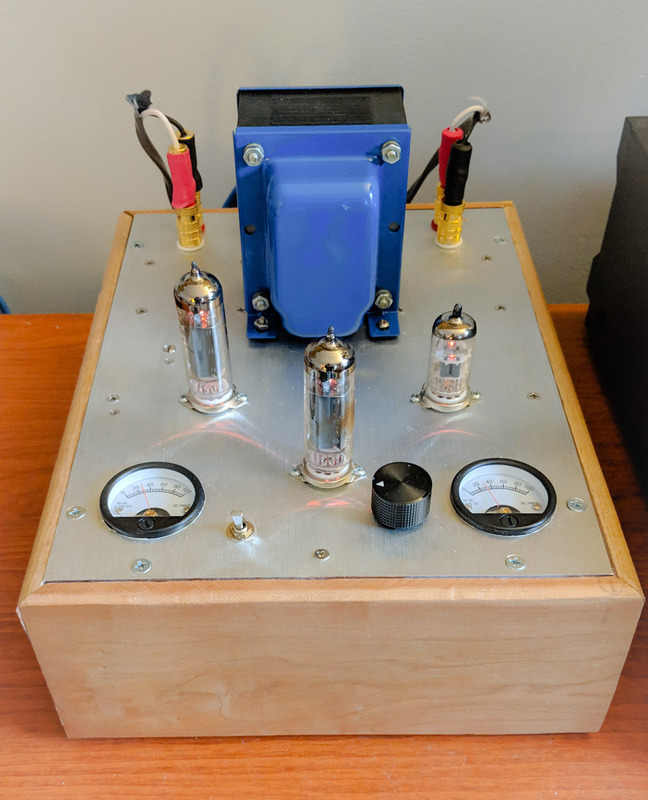 The amp is a tad bit chunkier then I would consider perfect, and definitely doesn’t have a professional fit and finish, but for a first-time main amp DIY build, not bad. More importantly, it sounds very, very nice with about 50 hours on it. There’s a very slight hum that I am assuming is transformer vibration hum - it doesn’t sound/act like a ground hum -but it is inaudible once the music starts playing. Hey, nice work! Looks as if it sounds very good. One pair of rhodium-plated inputs, one pair of copper-plated. Side view. I’ll post a view of the guts later. Right now still “testing” it, though the test has been going on for about a week now - it’s sounding that good that I’m not in a huge hurry to unplug it.